Mail me pics of your child, yourself, or your friends kids [ with their permission of course] in a fancy dress. It could be a costume that you [ or your kid] wore for a dance, as part of a theme at school , Halloween, or just simply. Try and blur the faces if possible But this is not mandatory for artsy-craftsy Jan.. Lets make it fun. 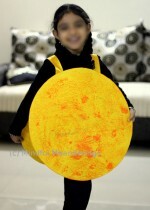 [ Keep it kid friendly please :p ] The costume could be made at home or store bought. Do specify clearly. I will only be announcing a winner and a badge for their blogs. There will be no prizes. Last date for sending your nomination is 28th of January, 2011. Add your blog post link in the inlinkz tool below. Please provide pics and details on how you made the costume. Links to another site which has the instructions is also fine.Or an address where you bought / rented the costume would help others. Thumbnails: 30 entries so far… you’re next! 17. Shiva and many others. . Happy 2011 and a great theme! Happy new year Shruti! Nice theme:) Let me dig out some pics! 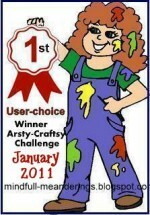 artsy craftsy january – theme is good……. Why oh why does my post happen on the last day??? But did it.. yay. The Post is really impressive and i enjoyed reading this musical content. I love to share this blog among my frineds. Really cool place for music lovers.